There was a time when Tito’s Handmade Vodka was not ubiquitous. That was before the oil-driller-turned-mortgage-salesman-turned-craft distiller Tito Beveridge hand-built his own copper pot still in Austin, TX, in the ‘90s. StateWays: What’s it take to reach two decades? 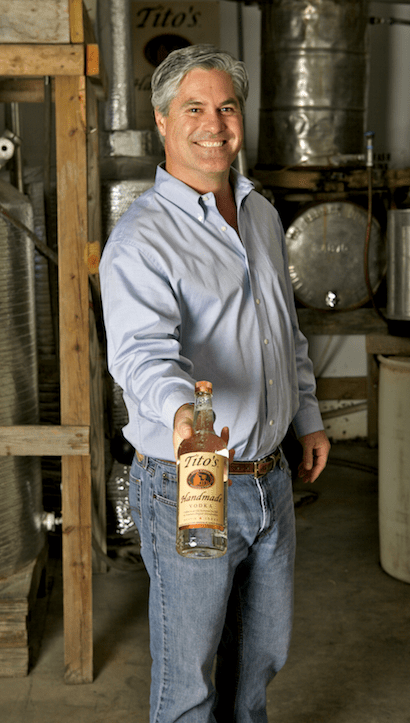 Tito Beveridge founded his self-named vodka brand 20 years ago. Today it is a global brand, among the best selling and most visible in the U.S.
SW: How come Tito’s has never expanded beyond one product? SW: How has Tito’s resonated with the craft movement? SW: Why has Tito never sold the brand? SW: Tito obviously remains a huge asset for the company. SW: How has Tito’s responded to the craft vodka explosion? SW: What’s next for Tito’s?